Adaptability: Can be integrated for use with any ‘system’ or martial arts ‘style’. 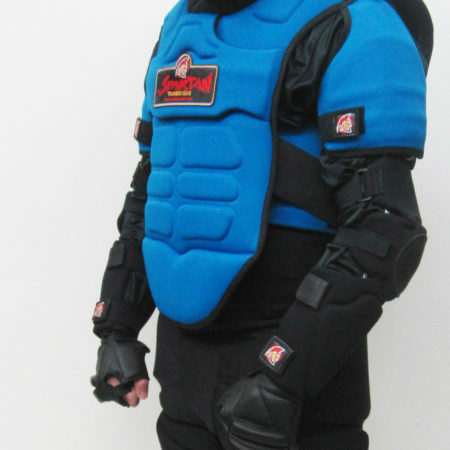 Improves combat confidence: Bulky, cumbersome training gear that allows the user to absorb unnatural amounts of punishment without feeling any pain can create a ‘Superman’ complex. In a real fight, the unrealistic approach learned from this type of training can be deadly. 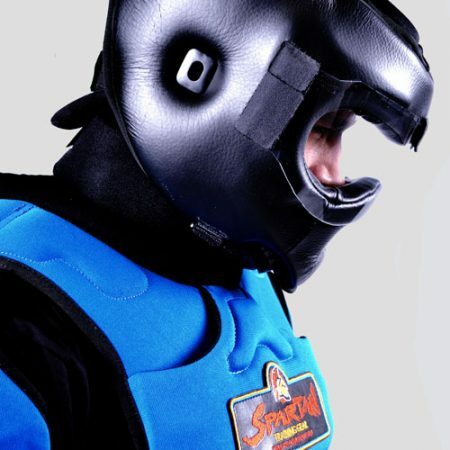 The Spartan Training Armour™ not only reduces the effects of blunt force trauma, it also allows the user to feel pain & impact and therefore experience the penalties and consequences of improper or ineffective tactics. Training ammunition compliant: The Spartan Helmet is the ultimate in close-quarter battle head protection and perfect for shoot/no shoot scenario training. It exceeds industry standards for safety and has been tested and approved for use with .38 cal, 9mm and 5.56mm marking cartridge rounds. 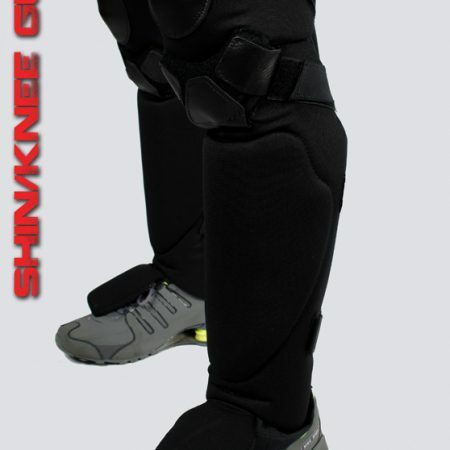 The outer shell of the suit is constructed of leather, high-tenacity polyester, lycra and mesh. 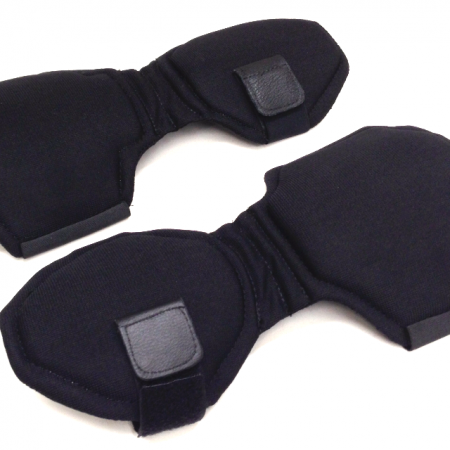 The inner core of the suit incorporates high-density foams and custom-molded plastic trauma plating. 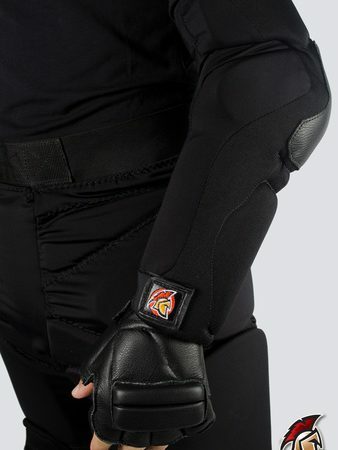 This combination of materials, along with the suits bio-technological design, makes the Spartan Training Armour™ some of the lightest, most versatile & best fitting equipment available. Sensory feedback during a tactical engagement can mean the difference between victory & defeat, life & death. 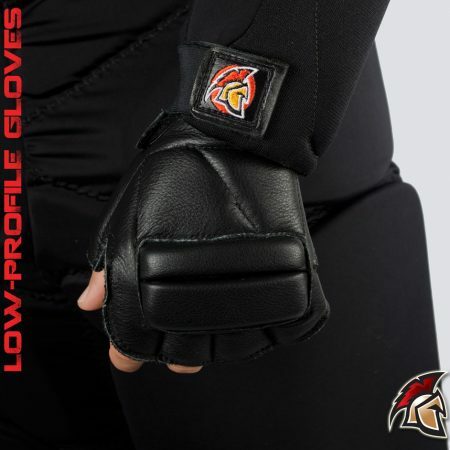 To train effectively for the reality that is combat, you need gear that allows you to experience any and all modes of violent, ballistic, in-your-face behavior. You must be able to feel movement and acceleration, see your targets and hear dialogue and breathing. In short, you must be able to experience the complete combative orchestra. 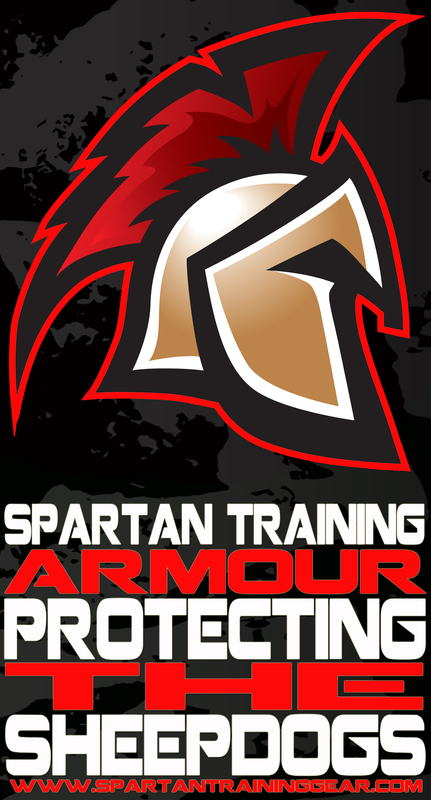 Only the Spartan Training Armour™ does that. 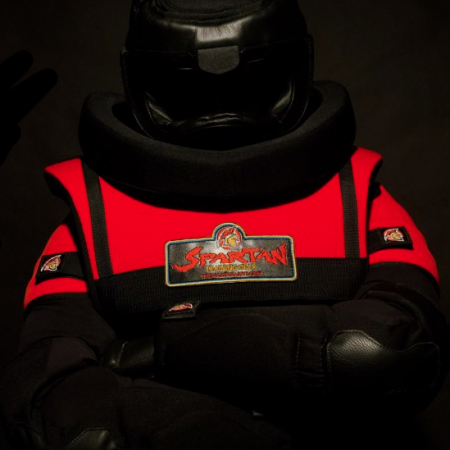 The Red Spartan Vest is specifically colored for instructors and teachers. 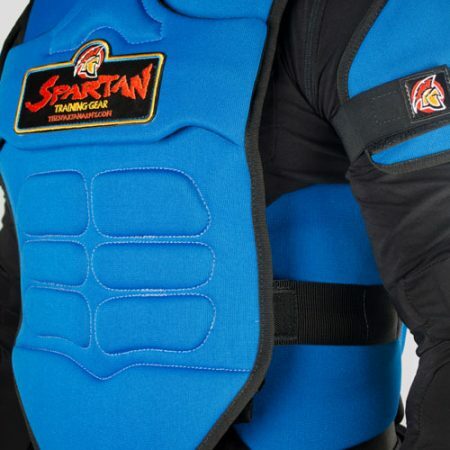 The Blue Spartan Vest is designated for students. Why the difference? So that the instructor/teacher can stand out from the group. In large groups, if everyone is wearing the same color gear, there’s no way to tell who the ‘lead’ is. It’s a simple solution to a common problem. For your scenario training to be considered ‘realistic’, it needs to have a realistic conclusion. For police officers, that means cuffing the role-player. For soldiers, it’s prisoner marshaling. If you can’t execute or replicate these ‘moves’, then you’re not getting true tactical closure in your scenarios.